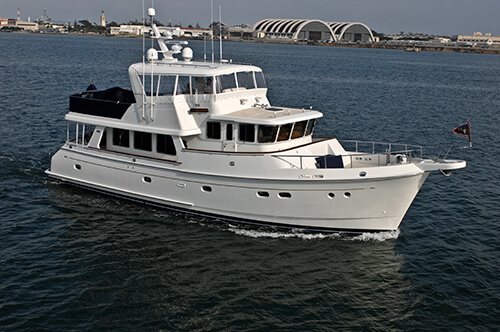 Mainship, a subsidiary of the Luhrs Maine Group which also owned Silverton, was a spin-off of the popular Mainship 34 Trawler introduced by Silverton in 1978. 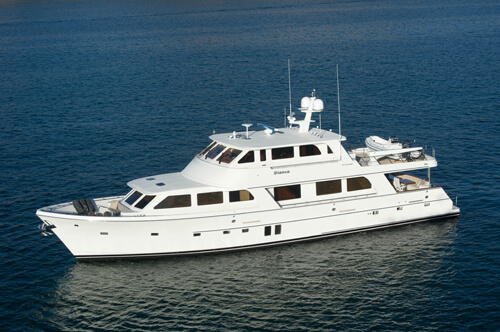 In response to the fuel crisis of the 1970s and '80s, Mainship built more than 1,200 trawlers from 30 to 40 feet in length. The line was expanded to include several sedan cruiser and double-cabin models, and by the early 1990s Mainship was offering a full line of express cr uisers and motor yachts. 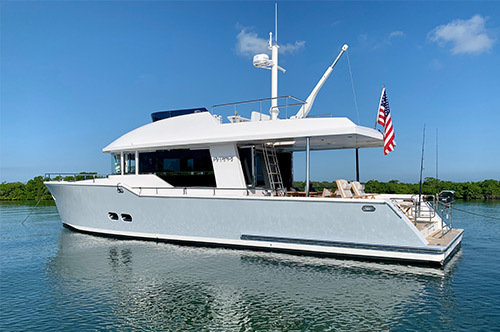 Mainship built a reputation over the years for delivering good value thanks to efficient production methods and their policy of including an extensive list of standard equipment with each boat. 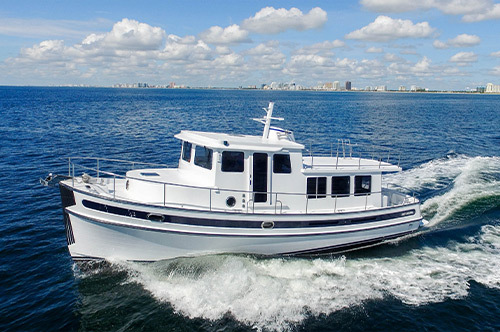 In the 1990s, Mainship reintroduced its trawler line with two new models: a 35- and 39-footer, delivering more than 300 boats in five years. Morgan Industries, parent company of Mainship, Luhrs, Silverton, and Hunter Sailboats filed for bankruptcy in May, 2012.
late in 2012. The new company’s first model was introduced in February, 2013.